Congratulations to St. Joseph’s N.S. 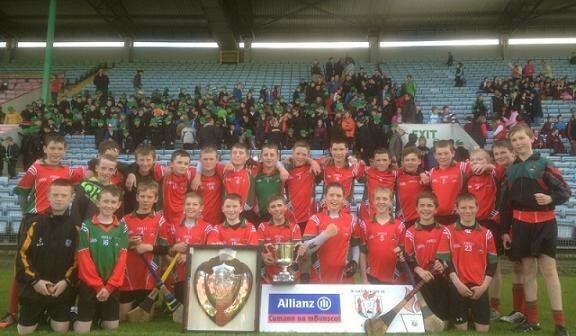 Riverstown on winning the Sciath Na Scol Hurling Final, Premier Section H1 at Páirc Uí Chaoimh on Tuesday. Mr. Pierce Power and Ms Claire O’ Donovan also deserve plaudits for their great work in preparing the boys to win this prestigious competition.